Genuine Fender® Stratocaster® Tremolo Arm Tips. White, Parchment, Aged White or Black. Brand new. Made in USA. 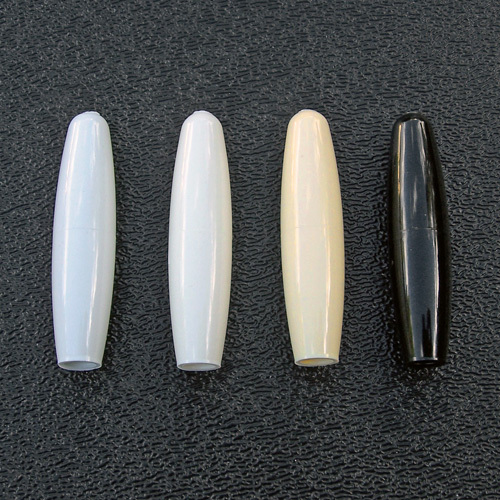 Sold as sets of 2 tremolo arm tips. Fits on the 3/16" diameter tremolo arms found on most American Strat's. Can be drilled out slightly to fit slightly larger 5mm diameter tremolo arms. From left to right; White, Parchment, Aged White and Black.